The Sophia table displays a classic lattice work design, a rectangular shape and high-quality sand-cast aluminium material which combines space, comfort and durability and will provide an enjoyable dining experience for many, many years to come. The 12-seater table is great for entertaining large groups of family or friends and also useful for casual outdoor dining. 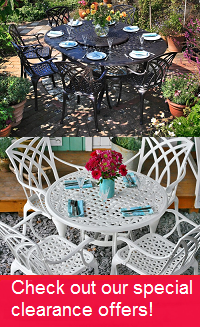 To enjoy the full comfort of the Sophia table set, please allow a maximum floor space of 350x270cm (11 ft 5” x 8 ft 10”). 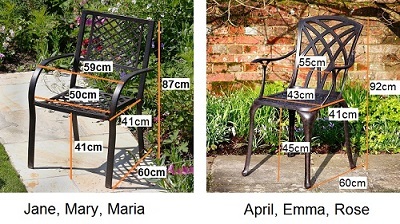 See specification and chair dimensions for more details.